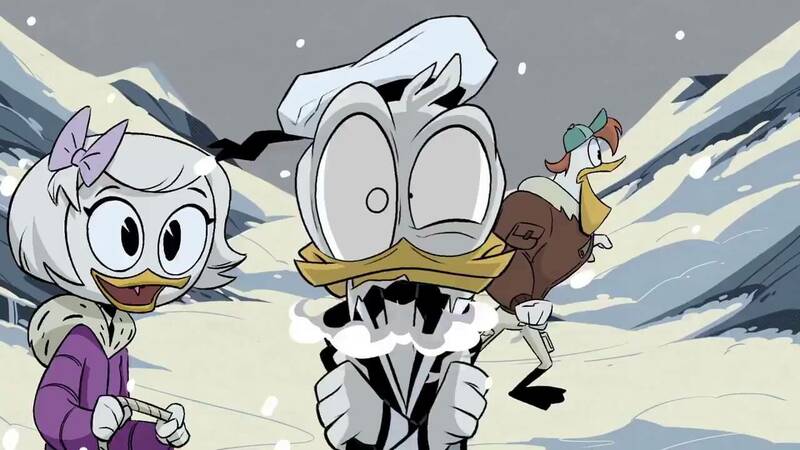 After much anticipation, the new “DuckTales” series premiered on Saturday, August 12 with a one-hour TV movie packed with adventure, heart and lots of jokes. The show’s composer, Dominic Lewis, chatted with Inside the Magic about what it was like updating the beloved series, his favorite moment from the premiere and what viewers can look forward to in the season ahead. Lewis grew up in England as part of a musical family and later moved to Los Angeles to pursue a career as a film composer. In addition to composing music for “DuckTales,” Lewis is known for his work on the Amazon series “The Man in the High Castle,” which is entering its third season. 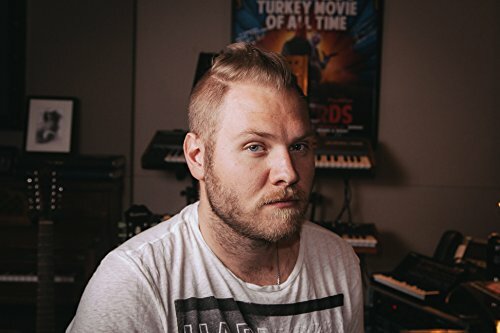 He has also contributed music to Big Hero 6, Wreck-it Ralph, and Captain America: The Winter Soldier. There’s a lot of love and nostalgia for “DuckTales” and its theme song, which was originally composed by Mark Mueller. How familiar were you with the original series? I adore “DuckTales,” both the memory of it and the theme tune. The one thing that was always a part of my life was the theme tune. It was a really awesome experience to get involved with the new song, and with Michael “Smidi” Smith, the producer who worked on most of it. I sort of tagged on at the end. How did you approach updating the classic feel of the series? Did you face any challenges? The new theme song is geared toward a younger audience. The original song is amazing, but it definitely sounds like it was written and made in the ’80s. With the new song, I came in at the end and changed a few chords and did a string arrangement. With the score, they really wanted it to be modern, cinematic and hybrid. The characters are always in a different place, whether it be their version of Chuck E. Cheese or Egypt, so I was given a helping hand based on where they needed to be in the world. There’s one episode in a Chinese casino, so I got to blend traditional Chinese instruments with big band, which is a crazy mix, but somehow we got it to work. The animation is really strong. It’s that new style of Disney, kind of 2D but cool. You wouldn’t necessarily think a massive, cinematic movie score would work with it, but it really works well. The material is so great and it can hold a big soundtrack behind it. It is really fun. Francisco Angones and Matt Youngberg [the co-producers and writers] are such funny guys. They’ve made such a wonderful version of this show. What was your favorite moment to score in the premiere? There’s a whole sequence with Scrooge’s hidden treasures, which turn out to just be hidden in his garage. They unleash a curse and a Chinese dragon comes to life, and Scrooge flies all around Duckburg on the back of this dragon. It’s crazy mayhem adventure. That was really fun. Do you find there are differences in the process of composing for animation versus live-action? The initial approach is similar: trying to find themes, sitting at a piano and getting material that works. From then on, animation is a different approach because you have to hit more stuff. There’s more leeway to be floral and accent more things going on the picture. With live-action, it’s broader strokes. You’re trying to tell the story without really adding to what you’re seeing. In animation, you have to accentuate what’s on the screen, whereas with live-action you’re implying what the audience is supposed to be feeling. Do certain instruments play a big role in the music for “DuckTales”? There are certain synths and more band-like, younger instruments that we use for the triplets. Scrooge is Scottish, so I’m not going to lie, bagpipes do appear. He’s a heroic character and he has a lot of traditional, orchestral heroic moments with an underscoring of modern elements. The creators wanted to give a nod to the original series but keep it fresh and cool, so there are guitars and drums, but orchestra is the tentpole. Who’s your favorite character on the show, and who is your favorite character to score? 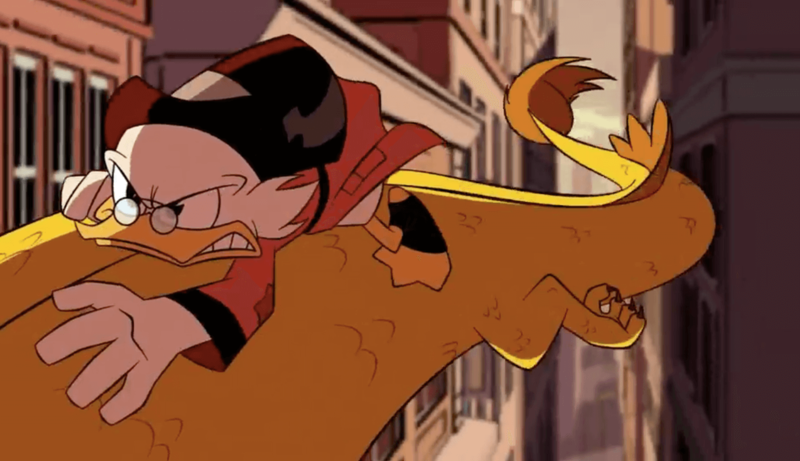 My favorite character on the show is Launchpad McQuack. I love scoring for Scrooge because he has lots of big heroic stuff, but I also love scoring Donald because I get to be more traditional. The creators wanted to bring it back to the old-school Disney way of scoring Donald when he’s really frustrated, so that’s super fun to do as well. How early did you become involved in the new series? They were finishing off the main titles when I got involved. I don’t even think animation had happened for the season opener. I scored it as two separate 20-minute episodes and they got pushed together for the 24-hour Disney XD takeover. I met Jay Stutler [vice president of Disney Television Animation’s music department] four or five years ago and we’d been trying to work together ever since. He called and asked if I’d be interested in getting involved in “DuckTales,” and who says no to that? I did the music for the series teaser before I worked on any episodes, and I did the six character shorts. Those were the first things I scored. How early do you start working on the music for each episode? I get two weeks to write it because it’s really involved. That’s a lot of time for a 20-minute show; normally that would be a one week turnaround. After that I get notes and then I get another week to give them the final version before it gets mixed. I’ve already scored 10 episodes ahead of the release schedule. You’ve worked on other Disney and Marvel projects, but are you also a Disney theme park person? My wife’s grandfather was Walt Disney’s economic strategist and we’re good friends with Walt’s granddaughter, so we have a very strong connection to Disney. We took our 2-year-old to Disneyland for the first time this year, and I love it. I went on Radiator Springs Racers in Cars Land for the first time this year, and I don’t know if it’s because I have a child who is obsessed with cars and trucks, but that one is amazing. I think Soarin’ Around the World is probably my favorite. David Tennant, who plays Scrooge, was previously on “Doctor Who.” Are you a fan of that show? 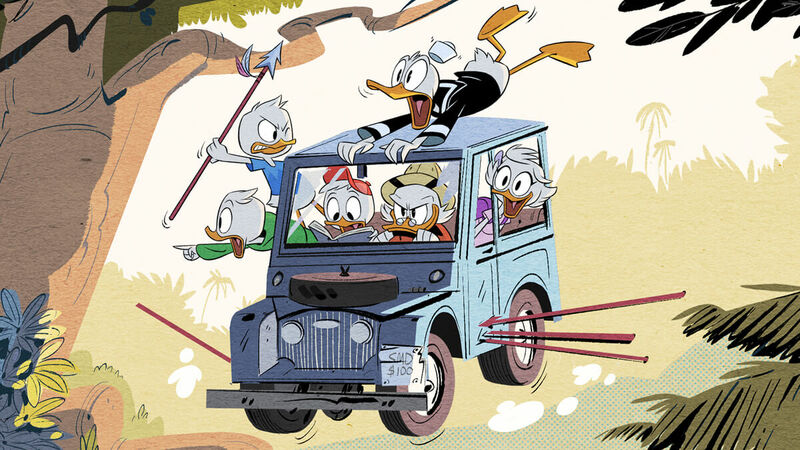 Is there anything else you want to share about the new “DuckTales” series? It’s hilarious, for kids and for adults. There’s always a few nuggets the kids won’t get, but the adults will. Every episode I’ve seen so far has been brilliant, so go watch it! Catch a replay of the “DuckTales” series premiere on Disney XD or the Disney XD app, and tune in for two new episodes on Saturday, September 23. For more from Dominic Lewis, be sure to follow him on Twitter.